As reported last week, Concordia students are not the best at supporting their varsity teams. Still, a group of students known as the SWARM are hoping to change the culture of the school, by raising awareness and spirit around the teams. The SWARM is a club that was launched in September by Emran Ghasemi, a member of the Concordia men’s rugby team, who was frustrated by the sparse attendance and sullen atmosphere at the Stingers’ sporting events. The SWARM drew over 400 students for the football homecoming game, a win against St. F-X. Not all teams draw the same crowds, though. Some events for more niche sports like soccer and rugby have only drawn 20 to 40 students. Ghasemi is aware that there is still a long way to go and is realistic in his goals. Ghasemi is not alone in his efforts. His friend Lorne Segall is also heavily involved in helping the SWARM and is also impressed with how things have gone. 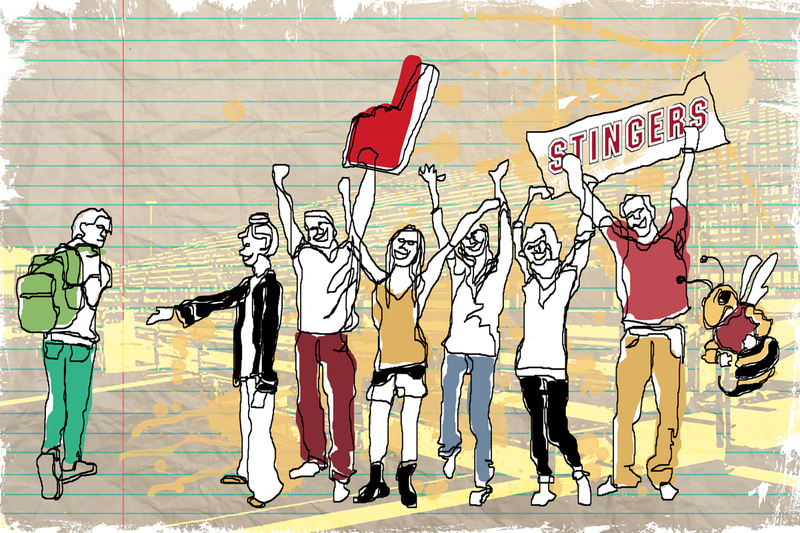 Collaboration with other student groups has been paramount for the early success of the SWARM. “We’re trying make people more aware of us by getting involved with other clubs and associations in our campuses,” added Segall. The SWARM is currently working with ASFA to plan an event around the Feb. 8 men’s hockey game against McGill. The group is also aware that Montreal is a city which offers plenty of other entertainment besides varsity sports in a residential neighbourhood 20 minutes from downtown. Because of this, events must be planned strategically. The SWARM is planning upcoming events for both hockey and basketball games, and more information about the group can be found on their Facebook page.